For many seniors, their Christian faith is a major consideration when deciding where to live - especially during retirement years. Choosing a suitable facility that allows you to embrace your spirituality is no easy task. Follow nine of the best Christian retirement communities, based on ratings, reviews, and resident feedback representing a broad geographical cross-section of the country. The Presbyterian Communities of South Carolina actually comprise five separate facilities spread throughout the state. US News says the facility in Clinton, SC is worthy of a "Best" rating and Medicare gives the facility in Columbia its coveted 5-star "Much Above Average" rating. It is a Continuing Care Retirement Community in which residents can enjoy a vast range of services from completely independent patio homes to apartments, to assisted living apartments, where residents get help with some daily living tasks. In addition to the facilities in Columbia and Clinton, Presbyterian communities are also found in the foothills of the Great Smoky Mountains and in the cities of Florence and Summerville. Each community has a web page and each page includes a collection of photos. Daily mass in a beautiful stained glass chapel. The facility's more than 280 luxury apartments, which vary in floor plan and size, can be customized to each resident's individual taste with the help of San Camillo's on site Design Center. US News rated Methodist Church supported Wesley Glen Retirement Community a "Best" 5-star facility overall. Other commendations include "Best Retirement Community" by CEO Magazine and a perfect State of Ohio Health Survey for Skilled Nursing Care. Located just north of Columbus, Ohio, the Wesley Glen Retirement Community has 152 independent apartments and 16 patio homes. 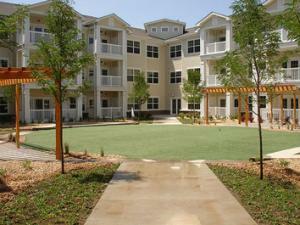 Residents can choose from a variety of floor plans that include either one or two bedroom options. There are also options for assisted living, long term care and hospice care. Wesley Glen's media page features several videos that highlight the facilities. 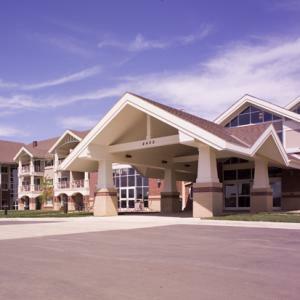 The Evangelical Lutheran Good Samaritan Society - Prairie Creek retirement community in Sioux Falls, SD offers exceptional and varied housing options for seniors. Of particular note, the Good Samaritan Society, through its Vivo: Innovation for Well Being initiative, is a leader in the movement to recognize the special needs and lifestyle demands of aging baby boomers - especially with regard to well-being, independence, and health. Swimming pool and Jacuzzi, library, and a variety of other services on the grounds. It is worth noting that Good Samaritan Society is actually a multi-facility provider of senior care. In this case, the parent organization, the Evangelical Lutheran Good Samaritan Society, is the largest not-for-profit provider of senior care and services in the United States. Denver, Colorado is home to Holly Creek Retirement Community. Sponsored by the Christian Reformed Church, this facility has awards galore, including a "Best" 5-star rating by US News and an identical 5-star rating by Medicare. The spacious cottages at the facility average an astonishing 2400 square feet and feature open living spaces, walk-in closets, fireplaces, large basements and garages. The photo gallery features numerous pictures of residents, activities, and the facilities of Holly Creek. Beauty salon and barbershop and convenience store. 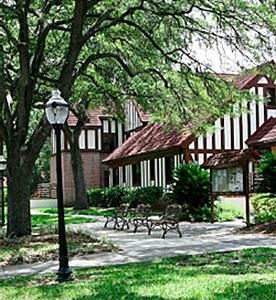 In addition, the campus has its own postal and banking centers, a number of walking paths, and a game room. The photo gallery contains several slideshows that provide an extensive visual preview of the entire facility. 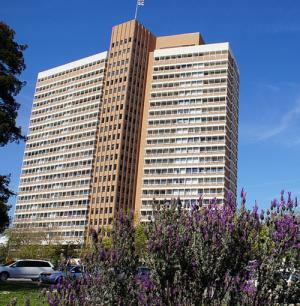 Oakland, California is home to St. Paul's Towers, a member of the 50-year-old Episcopal Senior Communities. Like most continuous care communities, St. Paul's provides life-long accommodations in facilities ranging from two-bedroom apartment homes through skilled nursing care. Both US News and Medicare have awarded St. Paul's Towers their highest 5-star rating. Aside from location, choosing a Christian retirement community involves finding a setting in which you feel personally and spiritually comfortable. An onsite visit or tour is the best way to get a feel for those elements. Beyond that, it is important to match your level of independence and interests with the community you choose. 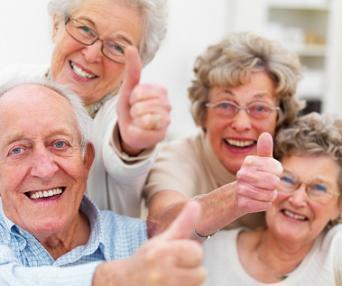 Some communities are best enjoyed by active, on the go, seniors. Others are more laid back. Take your time, ask plenty of questions, and when you have made your choice, relax and let your retirement years become the blessing they were always meant to be.